Preface: Known as one of world leading lithium polymer battery manufacturers in global battery supply chain. We specialize in lipo battery cell and pack technologies that are used by global OEMs for different applications. 2-How to choose correct lithium polymer battery that fits your needs? 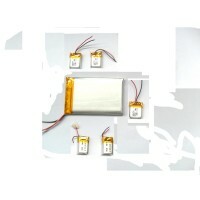 3-Why choose lithium polymer battery from pdbattery.com? 1-About PD regular lithium polymer battery. 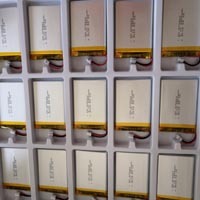 Lithium polymer battery is the most important business of Padre Electronics. Among all kinds of polymer lithium batteries, standard ordinary type accounts for 80%, and special battery accounts for 20%. Our daily output has now reached 200K, which can meet most production needs of standard and custom battery orders of different sizes. Single cell capacity range: 10mA~20000mA. Cell size range: thickness 2mm~15mm, width 8mm~150mm, length 12mm~250mm. I- Measurement and testing instruments. 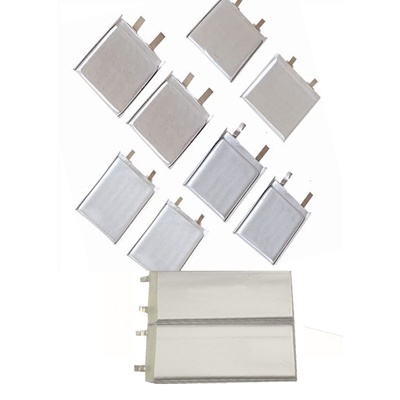 For more information on lithium polymer battery applications, please visit application page. . .
2- How to choose correct lithium polymer battery that fits your product. a- First of all, you need to know how much space your device has for the battery. b- Then you can determine the maximum length, width and height of the battery. c- After that you can select the appropriate model according to this size in our 2019 lithium polymer battery list. You can also directly ask us to recommend the battery solution. After all, we have much more battery solutions than what is listed on the website. If what you are looking for is a multi-cells lithium polymer battery pack, please contact us directly. And in case you have special requirements for the discharge C rate and temperature resistance, please go to our pages for high rate battery, high and low temperature battery for more information. (we can also customize new battery for you). 7mm~10mm 11mm~15mm 16mm~20mm 21mm~25mm 26mm~30mm. 10mAh~100mAh, 100mAh~200mAh, 200mAh~300mAh, 300mAh~400mAh. 400mAh~500mAh, 500mAh~600mAh. 600mAh~700mAh, 700mAh~800mAh, 800mAh~900mAh, 900mAh~1000mAh. 1000mAh~1500mAh, 1500mAh~2000mAh, 2000mAh~2500mAh, 2500mAh~3000mAh, 3500mAh~4000mAh, 4000mAh~12000mAh. If you want to select the battery according to other standards, you can click below links to go to the relevant page to learn more. Large capacity battery 4000mAh to 50000mAh. 1- No matter whether you can find the battery you need or not, you can contact us for a battery solution or custom development. 2- If you have any questions, feel free to contact us. You can also check the FAQ at the bottom of this page. Guidance for how to order the 3.7v lithium polymer battery. Work flow chart.You choose or let us recommend the battery – >confirmation solution and specifications -> quote ->production sample -> test -> small batch or direct mass production. 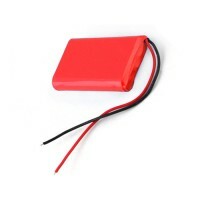 3- Why choose lithium polymer battery from pdbattery.com? Thanks to our team’s 20 years of battery experience, advanced equipment and strict quality control management. our batteries can pass all kinds of rigorous and destructive testing carried on by our safety labs and third-party organizations. For the past fourteen years, our Li-Po batteries have been sold to all over the world. So far, there has been no record of safety accidents. They are absolutely reliable batteries. The energy density of regular polymer lithium batteries on the market is generally 265 to 350 WH/L, and we can achieve 650 WH/L. This means that we can make it lighter and smaller with the same capacity. And with the same volume, our battery can have higher capacity. 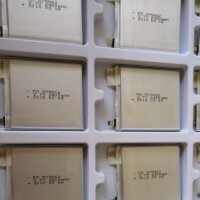 This greatly satisfies the needs of some power hungry applications with extremely limited space. Many customers don’t understand the lithium polymer battery. They only pay attention to the capacity. In fact, the stability of battery performance is also very important. Otherwise, the battery may swell, leak, possibly the quick voltage drop, big capacity decay, and shortened working time can happen. This will greatly undermine the user experience and impression of your product. Out of question, this is unacceptable. The reason for this problem is complicated, but the main reason is related to the production environment, materials, QC and battery manufacturing equipment. a- Production environment, our lithium polymer battery manufacturing base has a beautiful external environment, and the interior is neat and orderly. In order to control the impact of dust on the performance of the battery, we use a 100,000-nanometer dust-free room system for each workshop. All personnel must wear anti-wear when entering the workshop. Electrostatic clothing, anti-static hats, anti-static shoe covers, workshop personnel should wear electrostatic bracelets, and some people needs to wear gloves as well. b- Materials, different from some companies in the market that use recycled materials and secondary materials to produce batteries to achieve the purpose of lowering the price. We use only new materials from large manufacturers of formal channels, and carry out inspections of each batch to ensure the materials. The high standard control upon the raw materials ensures better battery performance. c- QC, whether it is for raw materials, semi-finished products in the production process, finished batteries, from material feeding to production finishing, we have multiple levels and multiple steps of strict testing from multiple departments, to eliminate potential risks at the source, make sure all problems are solved within ourselves. d- Manufacturing Equipment, we use the industry-leading automated manufacturing equipment from Korean and Japan, which saved us labor costs, improved the production efficiency, and also greatly guaranteed the performance stability of the products. As an important performance indicator of lithium polymer batteries, cycle life directly determines the running time of application devices. It is one of the biggest concern and frequently asked question of clients. The cycle life of the Li-Po battery means the total number of charge and discharge cycles performed @ 0.2 C with 100% DOD (depth of discharging) under room temperature, until the capacity reduced to 80%. 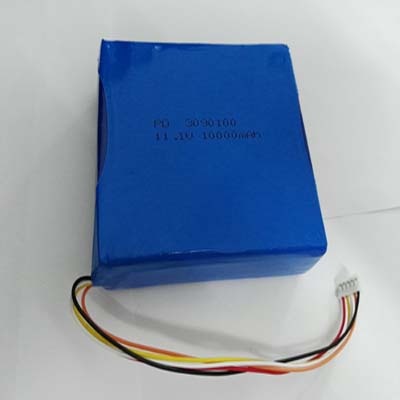 Due to the use of a high end lithium cobalt oxide raw material, PD 3.7v lithium polymer battery has excellent cycle life performance, can generally reach up to 500 times or even 800 times. Our smart automatic manufacturing equipment does good job on achieving high consistency of Li-Polymer battery cells, which provides excellent battery cells for the production of high-performance battery packs. Because the overall performance of the battery pack made of well-consistent batteries will also be more stable. In addition, the expected service life will be longer too. Many projects of product development have necessary process: there are always sample test and small batch trial production stage before mass production. We can provide good full-scale support all the way, from initial sample making to small batch production, and finally to massive volume production. Convenient to customize new lithium polymer battery. In addition to several hundred sets of molds and Over 3000 existing battery models, we can also develop more new models based on existing molds. We have our own mold workshop to develop new ones at any time, which greatly expanded our new battery development capability. 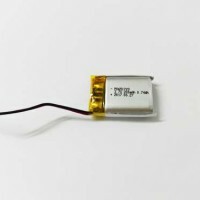 Hence, we can customize lithium polymer batteries of almost any size, so long as it is within the current level of lithium battery manufacturing technology. 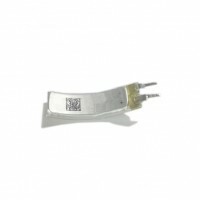 We can take the battery assembly solutions for your applications, various brands of various types of connectors, various wire diameters and length leads, Protection circuit board, NTC, IC, PVC, cables outlet location, all of these are subject to you, if you have no idea, you can also consult us or let us recommend. If you need, we can apply all kinds of battery certification required for your lithium polymer battery, such as IEC62133, CB, KC, UN38.3, MSDS, REACH, FCC, UL, CE, ROHS and so on. When the lithium polymer battery cell you need is in stock, our delivery time is usually within one week. If there is no stock, the delivery time is usually within two or three weeks. For mass production, the lead time is one month or so. Because the quality of the battery on the market is quite different, so is the price. Our lithium polymer battery is definitely not cheapest. This is determined by the material used in battery manufacturing, the process and battery quality. It makes no sense to compare price with low end battery market. But we are quite sure that among the top high-end lithium polymer battery manufacturers, our battery price is relatively more economical. Strict battery quality control and testing. In order to manufacture a lithium polymer battery of high quality and high reliability, our battery quality control is very strict. A- First, we cover regular tests such as voltage measurements, overcurrent test, short circuit test, charge and discharge, internal resistance test. B- Secondly, we will also test and record various raw materials in the process, including moisture detection, self-discharge K value test, high and low temperature environmental testing, vacuum testing, etc. C- Third, we use a dust-free room system to avoid internal short circuit caused by the dust which penetrates the battery separator. D- Fourth, we will also send batteries to our safety laboratory for safety testing and cycle life testing now and then. The quality of the battery is monitored and guaranteed without any black corner. 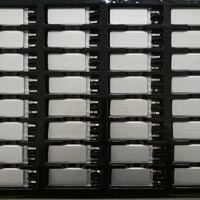 4- Lithium polymer battery list 2019 by width. 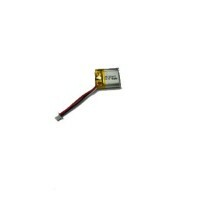 3.7v Lithium polymer battery list with the battery width in range of 11mm~15mm. 3.7v Lithium polymer battery list with the battery width in range of 16mm~20mm. 105 ××1818 PD801818 3.7 170 8.2 18 19.0. 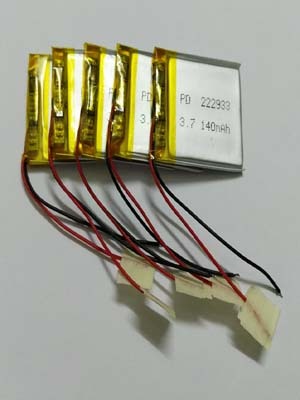 3.7v Lithium polymer battery list with the battery width in range of 21mm~25mm. 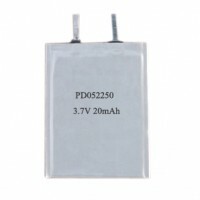 3.7v Lithium polymer battery list with the battery width in range of 26mm~30mm. 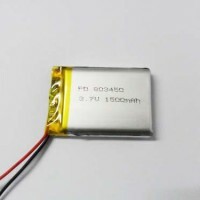 3.7v Lithium polymer battery list with the battery width in range of 31mm~35mm. 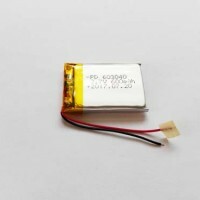 3.7v Lithium polymer battery list with the battery width in range of 36mm~40mm. 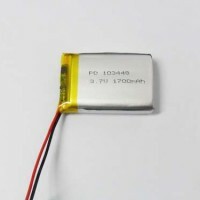 3.7v Lithium polymer battery list with the battery width in range of 41mm~50mm. 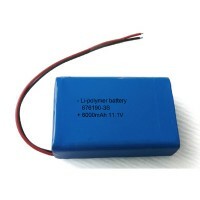 3.7v Lithium polymer battery list with the battery width in range of 51mm~60mm. Q: What does the model name mean in these 3.7v lithium polymer battery lists? A: Generally a lithium polymer battery model name consists of four parts, the brand name, the battery thickness, width and then length. For example, PD103450, PD means Padre Electronics battery brand, 10 is 10mm thick, 34 is 34mm wide, 50 is 50mm long. However, for some special LiPo batteries, there will be an additional information added after the length. For example.PD105060D, means low temperature type PD105060 lithium polymer battery, “H2~H60”means 20C~60C high rate battery. Q: Are these dimensions final size of Li-Polymer battery? A: These dimensions is only the single battery cell size, PCM (protection circuit module) is not included. After adding the PCM onto the lithium polymer battery cell, the final battery pack will be longer by 2mm maximum. For example, there is a model PD303040 in above list for 30mm wide batteries, its dimension is 3*30*40mm, after adding PCM, it’s dimension becomes 3*30*42 maximum. Q: How will the PCM affect thickness of the final 3.7v Lithium polymer battery pack? A: This depends. If the Li-polymer battery cell is thicker than 3.5mm, then you can ignore the affects, but If it is less than 3.5mm, adding a PCM can always possibly make the battery pack thicker than the original battery cell, the main difference is the header place where we put the PCM. No matter how thin is the lithium polymer battery cell, so long as you add the PCM on it, it will have max thickness of 3.5mm. Q: Are these lithium polymer battery list all of what you have? A: No. First of all, we develop lots of new battery models now and then, however, they may not appear on the list before we update the contents. Secondly, with the same molding/tooling, we can create many new models easily if we need. So, the above 3.7v lithium polymer battery list is still part of what we have and what we can do. 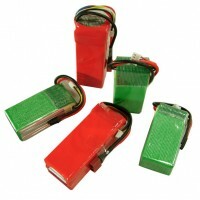 Q: Can you make 2S, 3S, 4S, 6S battery packs with these lithium polymer battery 3.7v cells? A: Sure. With these 3.7v polymer battery cells, we can make custom LiPo battery packs of different configurations, such as 7.4v 11.1v, 14.8v, 22.2v, 25.9v and so on. Q: Do you offer datasheets of the lithium polymer battery cells or packs? A: Yes. As soon as we agreed on the battery solution with clients, we can prepare and send the battery datasheet for their approval and confirmation, it’s always a step before an order is placed. Q: Do you retail these lithium polymer batteries? A: In case we have the same battery in stock, and customer is willing to pay transport cost, we can help on this. But we don’t recommend end consumers to buy from us for personal use purpose, after all, it is very expensive to ship one pcs battery or two between different countries. Q: What’s your MOQ for manufacturing these 3.7v lithium polymer batteries? 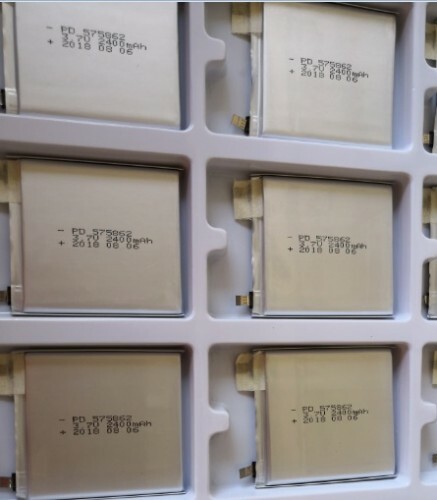 A: For 10mAh~4000mAh LiPo battery, our regular MOQ for mass production is 5k pcs, but we can support trial order quantity such as 2k pcs, 3k pcs before mass production. Q: Is there any guaranty time for your lithium polymer battery listed above? A: Yes. Our guaranty time is one year after delivery. So long as we confirm it’s our problem in manufacturing, we will take responsibility of replacing new ones. If it’s caused by incorrect use or abuse, we will not be liable.